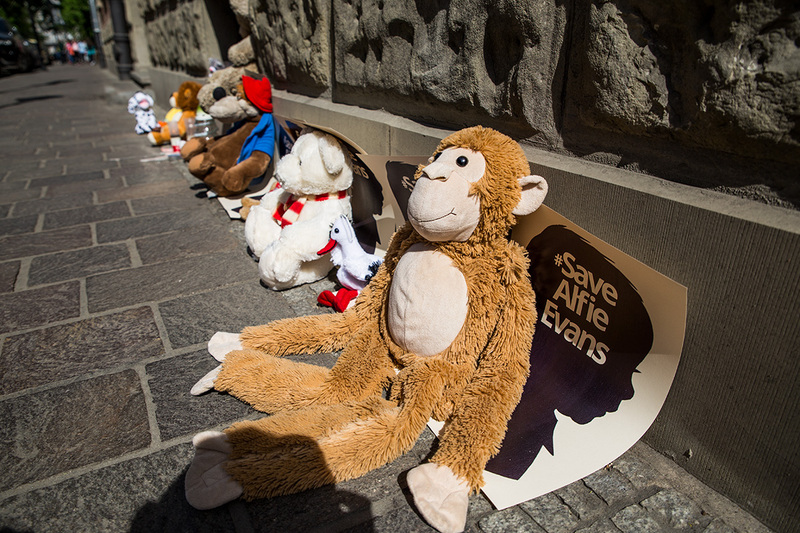 On the night between Tuesday and Wednesday internet users came up with an idea of grassroots pressure on Great Britain to defend Alfie Evans. No sooner had they come up with the idea than some Poles already gathered in front of various diplomatic buildings of the United Kingdom by noon. 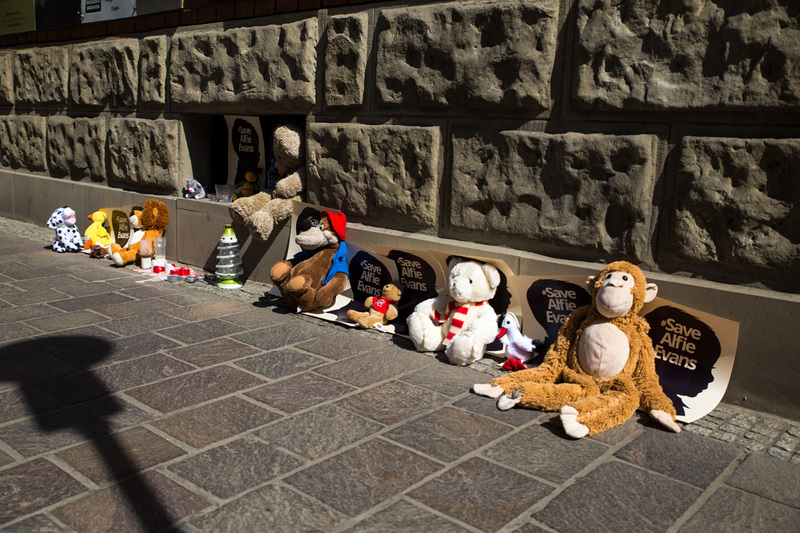 They brought candles, teddy bears and rosaries. 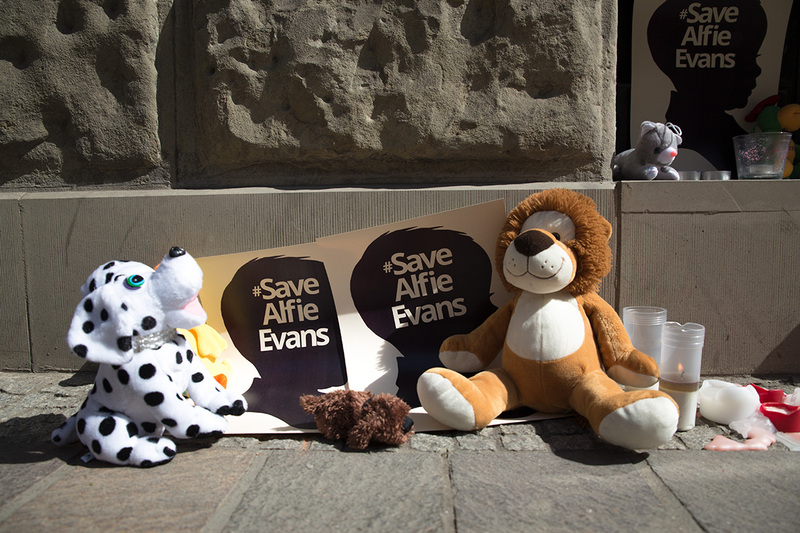 This spontaneous and grassroots initiative meant to express support for Alfie Evans, whose life is in danger because of the inhuman British administration, is developing rapidly. 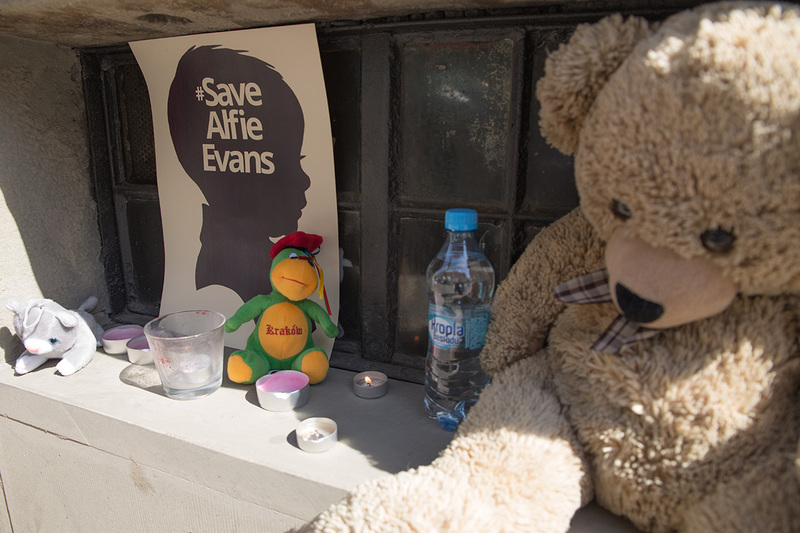 Several minutes past 10.00 there had already been numerous teddy bears, candles and posters calling for the little English boy’s protection placed in front of the British consulate in Krakow. We have also decided to publish a list of British diplomatic representations and we would like to encourage you to go there and show your solidarity with the child who is a victim of the culture of death. Let’s not forget to pray for Alfie! British Consulate in Wrocław, ul. Olawska 2. Below we have published some pictures taken in front of the British Consulate in Krakow on Wednesday at 10.00. We would like to point out especially one of them showing a bottle of water. 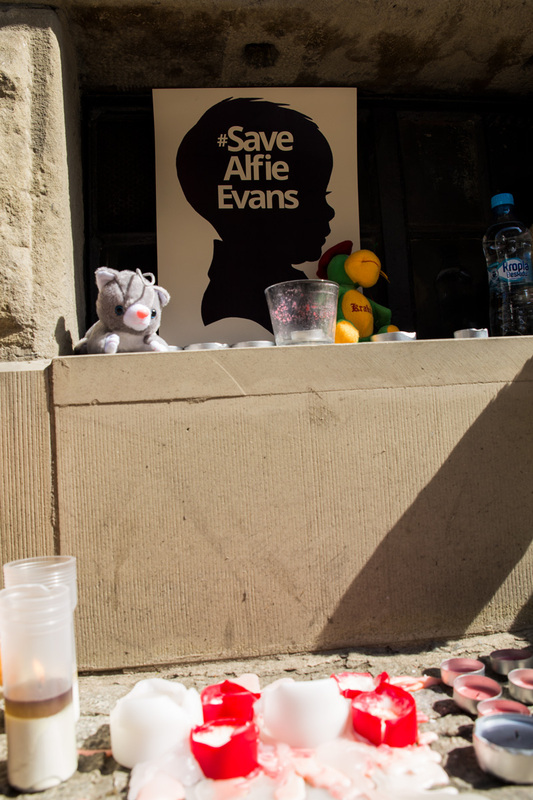 It is an exceptionally meaningful picture as the ill boy, Alfie Evans, suffering in a British hospital, cannot even count on such help – someone offering him a glass of water.